OSR News and Reviews: Dwimmermount PDF on sale! As a Kickstarter backer, I've had the PDF for a week or so now, but it's now gone up for sale at RPGNow. 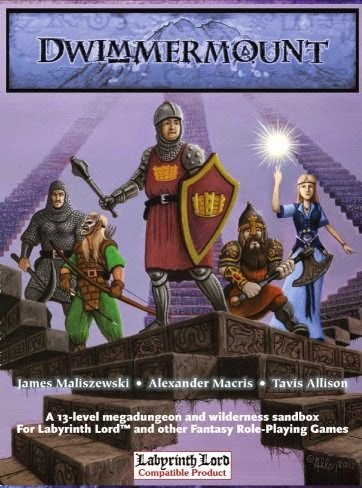 $10 gets you a 400 page megadungeon (well 300 is dungeon, the rest is filler), with probably close to a 700 rooms. Only a few with giant rats. You don't really need the map or illustration book. It has single page versions of each level map (the map book has each map spread out on two pages) and quite a few illustrations (including some that are in the illustration book).